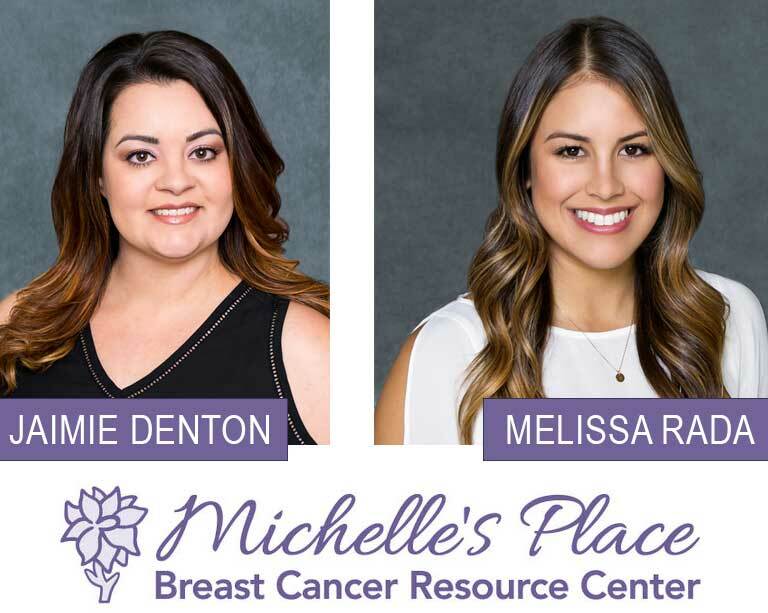 Michelle’s Place Breast Cancer Resource Center, a support organization serving those living with breast cancer since 2001, has announced the selection of Jaimie Denton as its new Fundraising and Development Director, and Melissa Rada as the new Program Manager. “We are thrilled to have Jaimie join our team and we look forward to Jaimie applying her previous knowledge, experience and expertise to help Michelle’s Place to grow and expand,” said Kim Gerrish, CFRE, Executive Director. Jaimie Denton has stepped into the fundraising role to grow, sustain and nurture relationships within the community. Denton transitioned to Michelle’s Place from a career in property management in the greater Los Angeles and Orange County regions. Rada sees the value in education, and wants to promote and provide resources to her community to encourage optimum health for all. Her passion for health and fitness has become a lifelong journey. She is constantly researching the most current trends and scientific studies. She grew up in the Murrieta community, played soccer for local club teams, went to high school at Murrieta Valley, and received her Bachelors of Science in Public Health from California Baptist University. She loves her community and is grateful for the opportunity to give back. As the new Program Manager, she will be working to create programs for all Michelle’s Place clients, such as yoga, reiki, and educational seminars. She looks forward to working with the physicians and health professionals in the area to bring more education to Michelle’s Place. Michelle’s Place Breast Cancer Resource Center is a 501(c)(3) nonprofit organization empowering individuals and families dealing with breast cancer through education and support services.